Confucius said: Study the past if you would like to divine the future. The village of Arossim is known to the outside world for its scenic beach. It is a rural part of South Goa and actually has a long and complex history. Arossim is situated between the Arabian Sea and tributaries of the River Sal. This agricultural land has sustained inhabitants since Neolithic times. Early tribal rituals, Hindu traditions, and Christian practices have influenced the region. Each contributed through the centuries to the unique character and customs of the people. In this book Themistocles (Themis) D’Silva explores the forgotten and concealed history of the region. A history that goes back to the Megalithic Period. He was pushed into doing this work after recognizing that stone clusters nearly hidden in the rice fields are in fact monuments of an ancient settlement. This book a his revision of his 2011 book. These megaliths were erected perhaps 3000 years ago and still stand tall. But, over time, their significance has been forgotten. D’Silva also takes us to the land, its people, shrines, festivals and feasts and temples. Besides, his book covers notable facts and events, priests and nuns, personalities from the past, slavery in colonial Goa. And more. D’Silva grew up in Arossim and is now a scientist in the US. He portrays many aspects of the village, including the ancient system of self-government and the profound effects of Portuguese colonialism. He unravels the origins of many earlier and present day local customs. Some are now fading as Arossim modernizes and changes. These pages are an inspiration and a model for how you too can discover your own village. Themistocles Themis D Silva studied in a one-room village school in Arossim. He also attended the local public elementary school in Portuguese, and then Loyola High School, Margão. He graduated from St. Xavier’s College, Bombay. Later, he obtained a Ph.D. in Organic Chemistry in the US. After post-doctoral research there, he took up a position in industry. D’Silva. He is credited with many patents and scientific publications. He recently authored a scholarly book on the Bhopal disaster, The Black Box of Bhopal. This book is a thoroughly revised edition of D’Silva’s earlier book, now out of print. 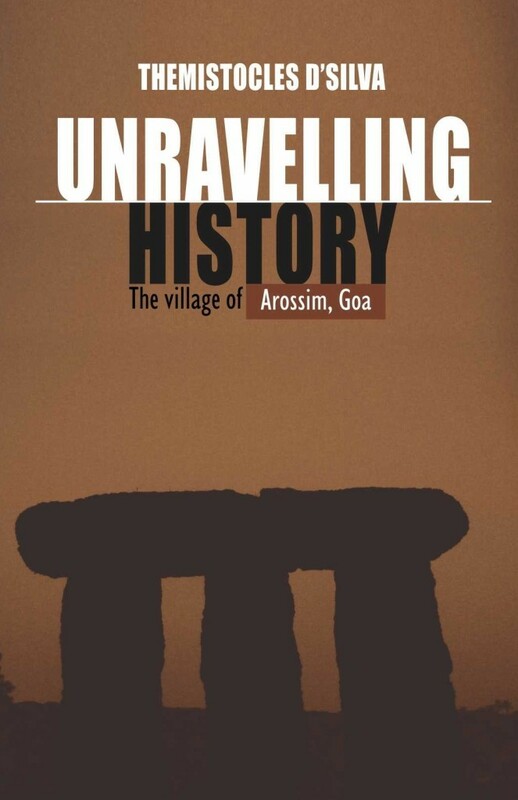 His earlier book on the subject was called Beyond the Beach: The Village of Arossim, Goa, in Historical Perspective. It was published by Goa,1556 in 2011.